← F. I. F. O. 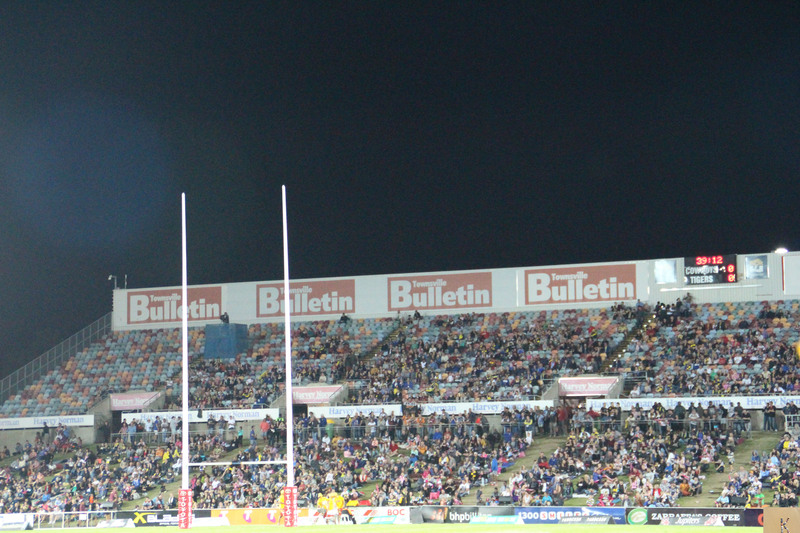 The first place I will take you on my visit to Townsville is to see the local Rugby League team North Queensland Cowboys play at home against Wests Tigers at Smiles Stadium. 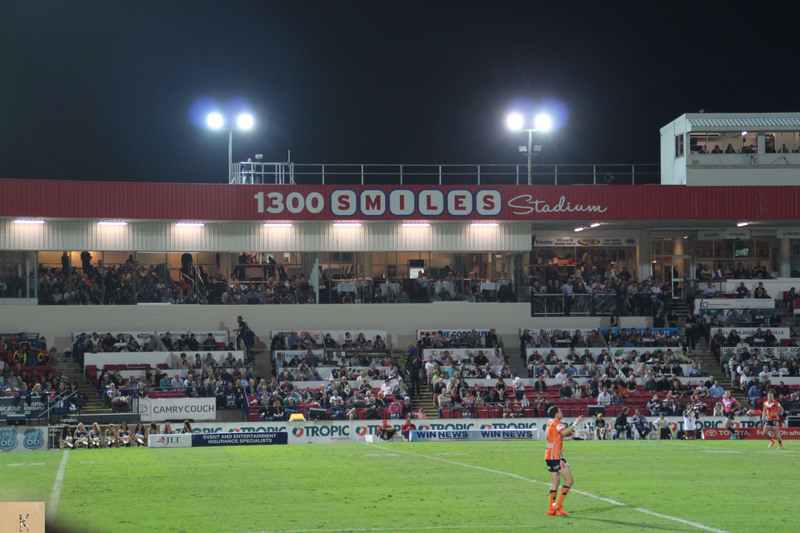 Smiles Stadium is situated 10 km from the Townsville CBD and holds around 26,000.00 people. 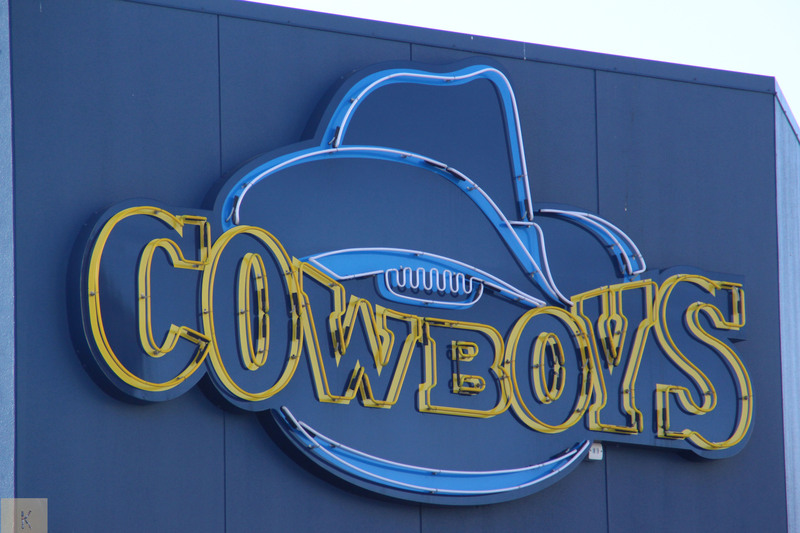 This is the home of the North Queensland Cowboys. For sponsorship reasons, the stadium was previously known as Stockland Stadium (1995–98), Malanda Stadium (1998) and Dairy Farmers Stadium(1999–2013). The entertainment – The sideline entertainment is continuous and the half time relay race was a hoot. The Game – Plenty of cheering and sledging coming from the hometown supporters. It was a massacre. This entry was posted in Australia, Photography, Rugby League, Sports, Travel and tagged Johnathan Thurston, North Queensland Cowboys, Smiles Stadium. Bookmark the permalink.